You’re traveling through another dimension, a dimension not only of sight and sound, but of relentless corporate interests. A journey into a wondrous land where everything old is new again (or at least suitably repackaged). That’s the signpost up ahead: Your next stop, The Reboot Zone. CBS is facing a ticking clock when it comes to its streaming service; the exclusive release of Star Trek: Discovery seems to have done its job by luring subscribers in—more than doubling the service’s revenue over the last few months—but there are only two episodes left of the first half of the show’s first season. (The last six will air next year.) 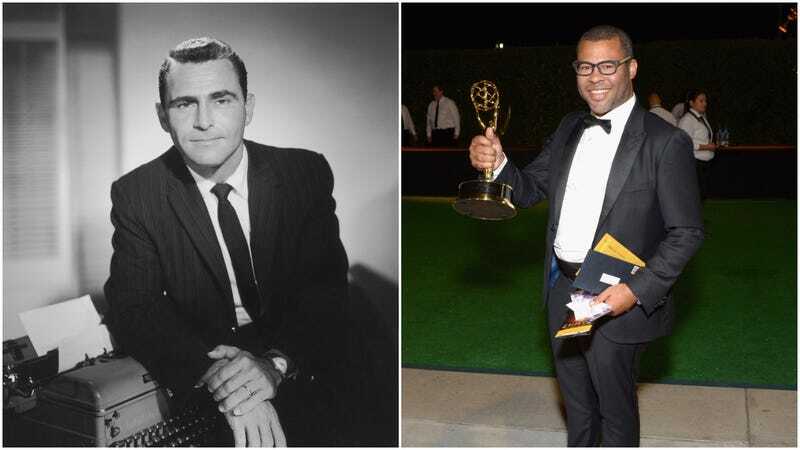 All Access is going to need constant injections of new, buzzy content to get people to stick around; a star-studded Twilight Zone reboot from Peele—who’s still blazing hot off of the success of Get Out—might be just the ticket. Correction: An earlier version of this article stated that there were only two episodes left of Star Trek: Discovery’s entire first season; there are actually eight, with the final six airing in 2018. We regret the error.